Your boiler should be serviced annually, every year our Gas Safe Registered engineers carry out thousands of gas safety checks for landlords and homeowners in Plymouth and across the South-West. Our fixed price gas safety service is carried out by our fully qualified gas engineers that are experts in boiler maintenance. Having hot water is a daily essential. Your boiler needs to be regularly checked and tested to make sure all components are working in the correctly. An annual boiler service is a relatively cheap way to prevent potential boiler faults, avoid unwanted disruption, ensure maximum central heating efficiency and keep heating bills to a minimum. Just like a M.O.T for your car, regular checks of your boiler can detect whether something is wrong and can prevent any issues from getting worse. A boiler that isn’t working to its maximum efficiency can also hit your wallet hard and increase your energy bills dramatically. When carrying out a service, a qualified engineer will inspect and test all of the boiler components and replace any parts that are no longer functioning correctly. Thus leaving your home with a fully operational and efficient boiler. Guarantee safety with a boiler service from a Plymouth gas engineer. A regular boiler service by a Gas Safe Registered engineer will ensure your safety is not compromised. Along with assurances over boiler breakdowns, having your boiler serviced provides peace of mind for health related issues. We recommend to all our customers that you have an audible carbon monoxide alarm fitted in your home. Last year we fitted hundreds of carbon monoxide alarms in homes all across Plymouth for just £35 including fitting. Which? recently investigated how much you could potentially save on your energy bills with a smart thermostat and also how long it would take to pay for itself. This year alone, we installed more smart thermostats in the first three months of 2017 than the whole of 2016 combined, the most popular models that we installed on boilers in Plymouth where the Worcester Wave and the Nest learning thermostat. Smart thermostats allow you to change various thermostat settings from your smartphone–and, in some cases, a web browser, computer, or with your voice using a device like the Amazon Echo. 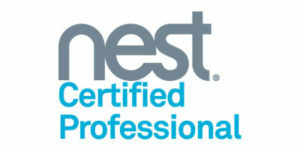 As a Nest pro installer and also a Worcester Accredited Installer, our Heating engineers have fitted 100s of smart thermostats in homes across Plymouth. Studies have shown that the Nest payback time is just two years, you can read more about the study here. AJ Barnes Plumbing & Heating LTD love installing smart technology for customers across Plymouth and the surrounding areas. Visit our Barnes SmartHome section today and learn more about how smart technology can save you Money on your heating bills in Plymouth. For advice and a free quotation please contact us. Just moved to a new property in Plymouth? This quick guide will outline the steps that you can take to ensure that your new property is Gas Safe. There’s no way of really knowing when the appliances and pipework in your new Plymouth Property were last serviced and checked by a Gas Safe Registered engineer. 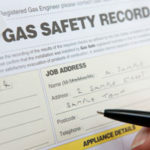 Your vendor should provide you with a Gas Safety Record showing that a qualified Gas Safe engineer has checked the gas installation pipework and appliances. If your vendor is unable to provide a Gas Safety Record then you’ll need to contact a registered engineer to carry out the relevant gas safety checks before you move in. The Gas Safe Registered engineer will complete a record and provide it to the vendor so they can pass it onto you when you move into the property. 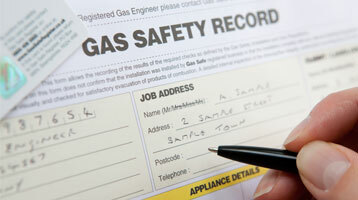 AJ Barnes Plumbing & Heating LTD can carry out and complete a Gas Safety Record for your new property in Plymouth. 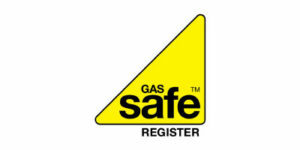 All our Heating Engineers are Gas Safe Registered. Contact us today for expert advice from one of our Plymouth based Heating Engineers. It is important to have your gas appliances checked regularly – as the risks if you don’t include deadly carbon monoxide poisoning, gas leaks, fires and explosions. We get numerous phone calls and emails from clients that have had quotes for work done by other Plymouth Heating Engineers that are not reliable and have not turned up, or in some instances have not been experienced enough to fix the problem. This guide outlines steps that you can take in order to find reliable Heating engineers in Plymouth and also reliable Plumbers in Plymouth. There’s an old saying, if you buy cheap, you’ll buy twice, this saying applies to everything from replacing a boiler to buying a new car, it is important to get your choice right the first time and this means looking beyond price, the best things are usually not the cheapest. So, how can you find a reliable Plumber in Plymouth? There are lots of ways that you can find an experienced, reliable and affordable Plumber in Plymouth, the best starting point for finding any reputable tradesman is by visiting the Buy with Confidence website, all tradesmen on Buy with Confidence have been vetted and approved by Trading standards, you can also read verified reviews which have been left by Plymouth customers. 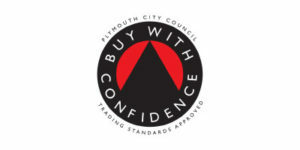 If your Plymouth based Heating Engineer or Plumber is not on Buy with Confidence then we recommend that you use a tradesmen that is on the scheme as only these companies have been approved by Trading Standards. Next step, finding a Gas Safe Registered engineer. Finding a Plymouth Gas Engineer is easy, simply visit the Gas Safe Register website and enter your postcode, you will then be able to see all Gas Safe Registered engineers in your area. All our Heating Engineers are Gas Safe Registered and undergo further training through our employee development scheme. Finding the best Plymouth Heating Engineers checklist. Google search the company, if the company does not have an up-to-date website or it looks dodgy then their work is probably the same, companies that invest in their public image clearly care about there customers and offer the highest possible quality. 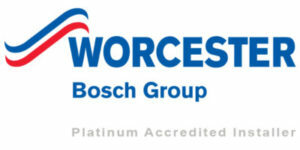 Check out the company’s other accreditations, are they a Worcester Accredited Installer and A Nest Professional Installer? Finally, ask for a written quotation, company’s that offer you a free no-obligation quotation are a safe-bet. Following these steps is a guaranteed formula to finding a reliable, affordable and experienced heating engineer and plumbers in Plymouth. AJ Barnes Plumbing & Heating LTD is Plymouth’s premier Plumbing & Heating Company, completing over 4,000 Plumbing, Heating and Gas jobs annually in Plymouth alone. 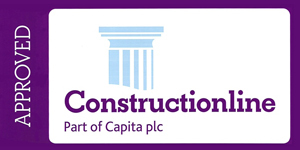 Contact us today for a free no-obligation home-visit quotation.